Jared Tippets is the vice president for student affairs at Southern Utah University. In this role he is responsible for student retention and completion. Tippets is committed to supporting all students as they learn to become successful and effective leaders on campus and in the community. Tippets views student services as a partner to academics. He strives to find meaningful ways to connect a student’s experiences in the classroom with their lives outside of the classroom. 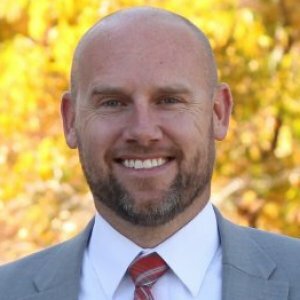 He oversees a variety of resources and services at SUU such as career services, tutoring, testing, counseling, academic advising, financial aid and student support services. His professional career has been spent focusing on retention, completion, and student success efforts on both the academic affairs and student affairs side of the academy. Prior to SUU, Tippets worked at Purdue University, the University of Kentucky, the University of Missouri-Columbia, and Utah Valley University. Tippets earned a bachelor’s degree in management information systems from Utah State University and a master’s degree in higher education administration from the University of Missouri-Columbia. He has a Ph.D. in higher education administration from the University of Kentucky where his dissertation topic was about organizational change in higher education. Colleges and universities are struggling to retain the first-year students who arrive on campus. Only 61% of first-year students who started in 2015 returned to their starting institution in 2016, according to a report from the National Student Clearinghouse. After months of interviews with highly-qualified candidates from all corners of the US, Southern Utah University announced the new Assistant to the President for Diversity and Inclusion: Dr. Schvalla Rivera. In her previous role, Dr. Rivera served as the Dean of Students at Western Nebraska Community College. Officials don’t foresee housing as a major problem in the future; Treanor said she is optimistic that this will most likely be the last year of extreme growth for awhile. With an emphasis on bringing in quality students, not quantity, she said the numbers will ultimately even out. Tippets agreed, adding that small additions will suffice. SUU President to LGBT students, faculty: "We want you to feel safe"
Numerous students urged the administration to attend an Allies on Campus training session on the proper use of gender pronouns. Wyatt and his cabinet agreed to participate in hopes that it would set an example for other faculty, staff and students to partake in the training. Vice President for Student Affairs Jared Tippets said the administration is working to re-shape the new student orientation to better welcome minority students, including LGBT members. 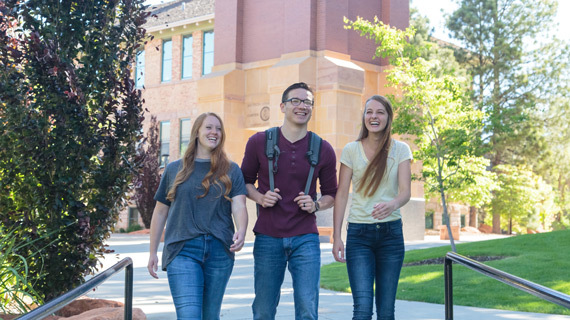 The Princeton Review, in its recently released collegiate survey, “2016 Best Colleges: Region by Region,” identified Southern Utah University at the top tier of colleges and universities across the nation by region. In a packed living room of the Sharwan Smith Student Center, Southern Utah University held a ceremony Friday honoring this year’s student government members and a swearing in for the new members to take office in the 2015-2016 academic year. As student officials passed trinkets and bits of advice to their new counterparts, SUU Vice President for Student Services Jared Tippets reflected upon his time serving in student government while in college and thanked the outgoing executive student council for service to the school and time spent in office. Several of Purdue University’s core administrative units soon will be more closely aligned, a plan that seeks to increase opportunities for students while streamlining the university’s administrative functions. Jared Tippets, dean of student success, said collaborations between departments will be better able to take place. “We have worked closely with many departments over the years, but I’m confident that this new organizational structure will increase synergies and improve our quality of service to students and the faculty,” Tippets said. “Sophomores struggle with academic engagement, and a learning community allows a student to explore a topic out of the classroom with faculty members,” says Jared Tippets, Purdue’s director of Student Success. As society changes, so must higher education. Therefore, colleges and universities and the presidents leading them must adapt to survive in today’s highly competitive marketplace. What must an institution do to stay abreast of the changes? Once the necessary changes are identified, what processes are used by a president of a college or university to go about deliberately creating change on campus? By understanding how to create planned change, leaders within higher education will be able to better ensure that their institutions remain relevant in today’s rapidly changing environment. This course focuses on student success through systematic exploration of values and skills. It is designed to help launch students' university careers successfully.